The Invisalign® method is the virtually invisible solution to straightening teeth and realizing the smile you have dreamed of. 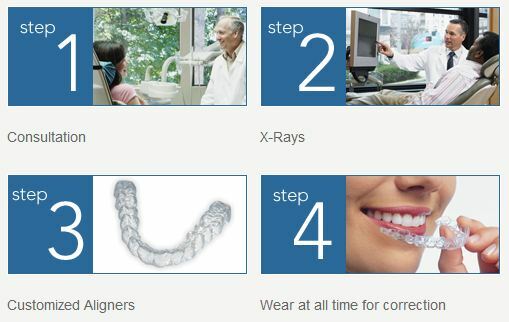 Employing advanced 3-D computer-imaging technologies, Invisalign depicts your total remedy strategy. A collection of clear aligners are custom-made for the teeth that gradually shift your teeth into place. 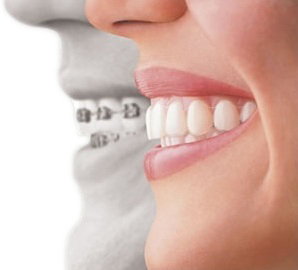 Each aligner is worn for about two weeks advancing you to the next stage of treatment. Your Invisalign remedy time will be determined by your physician, based on your precise desires. Your Invisalign therapy will consist of a series of clear, customized, removable trays called aligners that you change about every two weeks. Each aligner is individually manufactured with exact calculations to gradually shift your teeth into place. Because the Invisalign method is custom-made for your teeth, using a plan devised by you as well as your dentist or orthodontist, you know you’ll end up having the smile you desired.